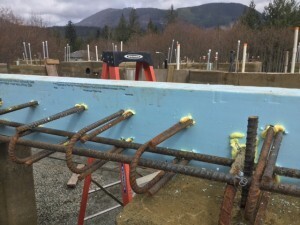 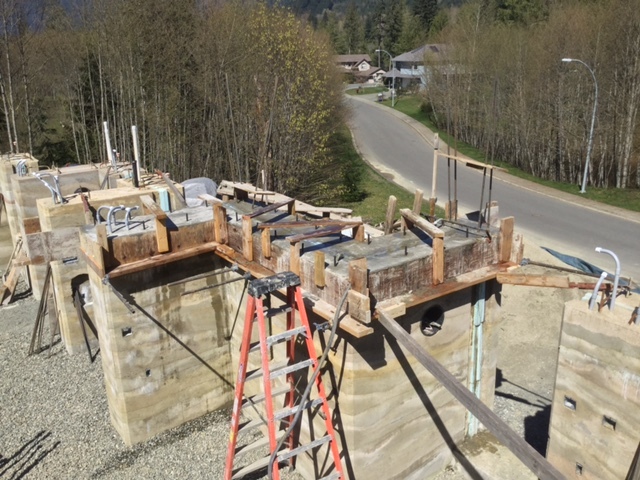 The bond beam was made with 6000 PSI concrete mix and 5/8″ rebar. 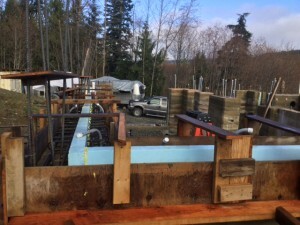 It was poured in four main sections strengthening the bond between walls. 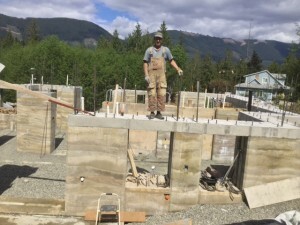 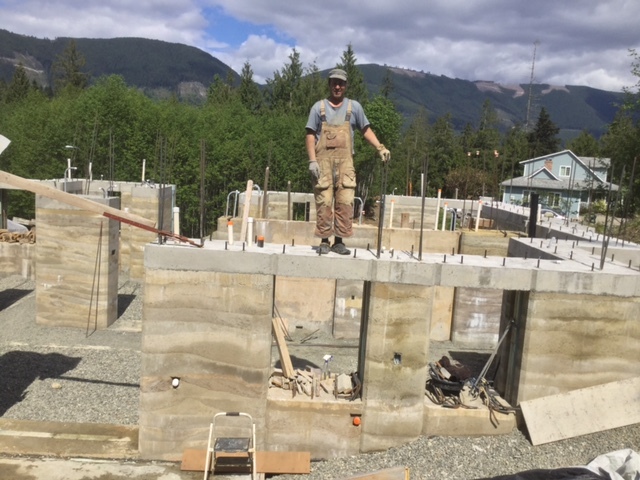 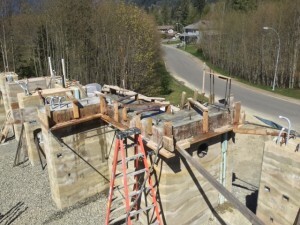 Using a similar technique to building rammed earth walls to clamp bond beam forms. 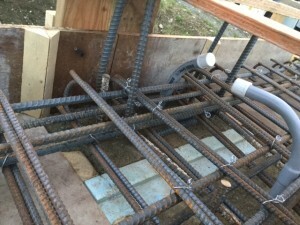 That’s a lot of rebar. Heavy Rebar in Window Lintels. 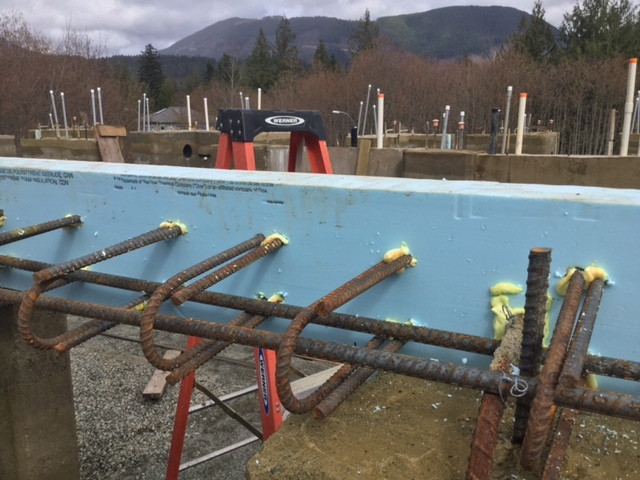 Making forms for bond beam. 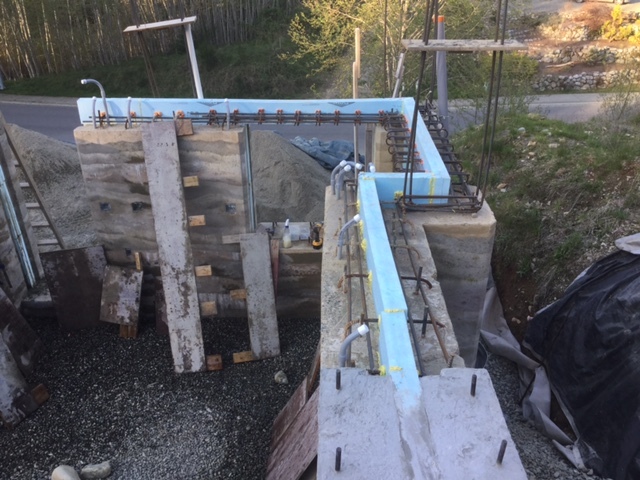 Insulation envelope carried up through bond beam. 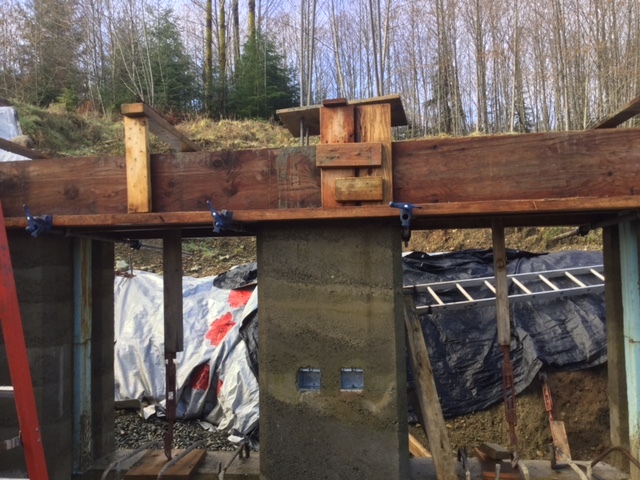 Front Door Section of bond beam completed. 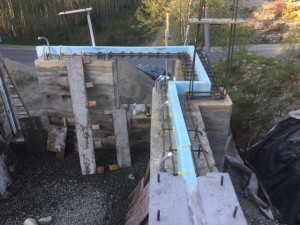 Bond beam done and appears to be doing it’s job.